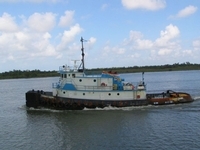 Built in 1975, by the Bollinger Machine Shop of Lockport, Louisiana (hull #91) as the Captain Martin. In 1985, she was sold. Where she was renamed as the Danielle. 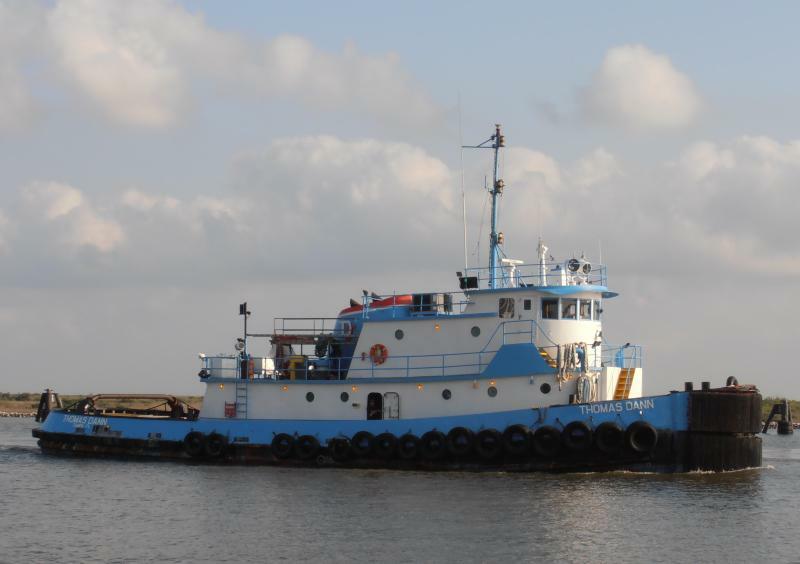 In 1985, the tug was acquired by the Sun Oil Transportation Company of Marcus Hook, Pennsylvania. Where she was renamed as the Yobouca Sun. In 1986, she was sold. Where she was renamed as the Yobouca. 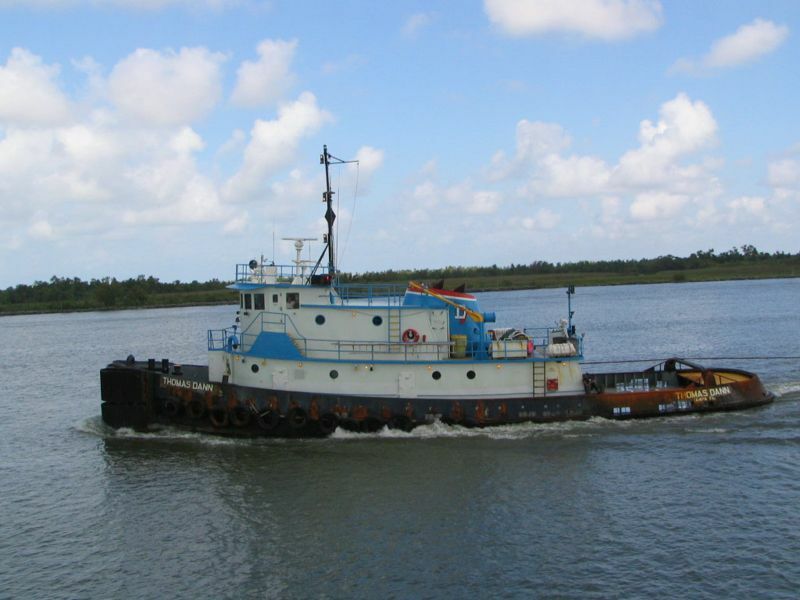 In 1999, she was acquired by Hornbeck Offshore Transportation of Covington, Louisiana. Where she was renamed as the Yobouca Service. In 2005, the tug was acquired by the Dann Ocean Towing Company of Tampa, Florida. Where she was renamed as the Thomas Dann. 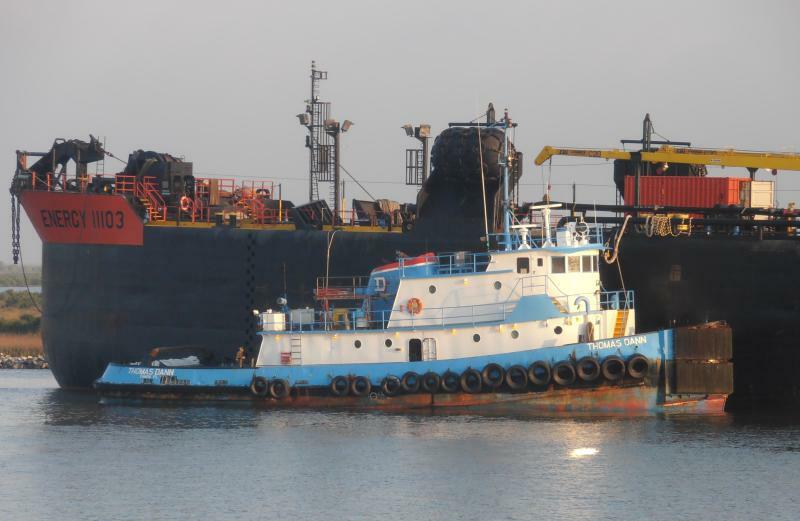 On July 22, 2016, the tug suffered an engine room fire off central Florida while towing the barge EMI-1152 ; after the fire was extinguished, she was considered a total loss and scrapped. Powered by two, EMD 12-645-E6 diesel engines. With Reintjes WAV 1850 reduction gears, at a ratio of 4:1. Turning via two 8.75(in) shafts two, four bladed, stainless steel, 94(in) by 76(in) fixed pitch, propellers. For a rated 3,000 horsepower. Her electrical service was provided by two 75kw generators sets. Driven by two, GM 6V71 diesel engines. 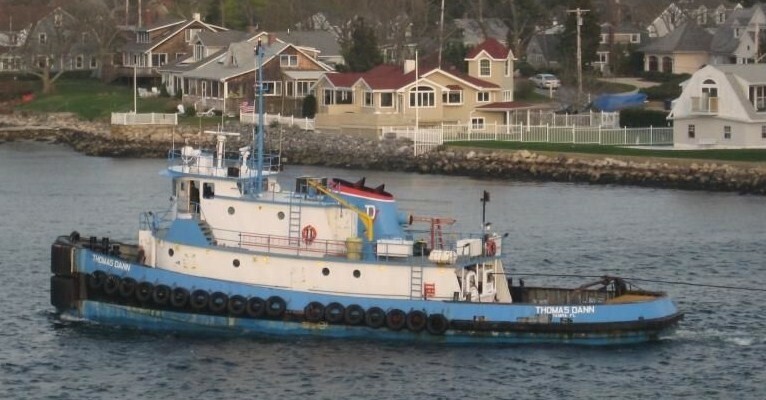 The tug's capacities were 68,000 gallons of Fuel Oil, 65 gallons of Hydraulic Oil, 700 gallons Lube Oil, 9,600 gallons of Potable Water. 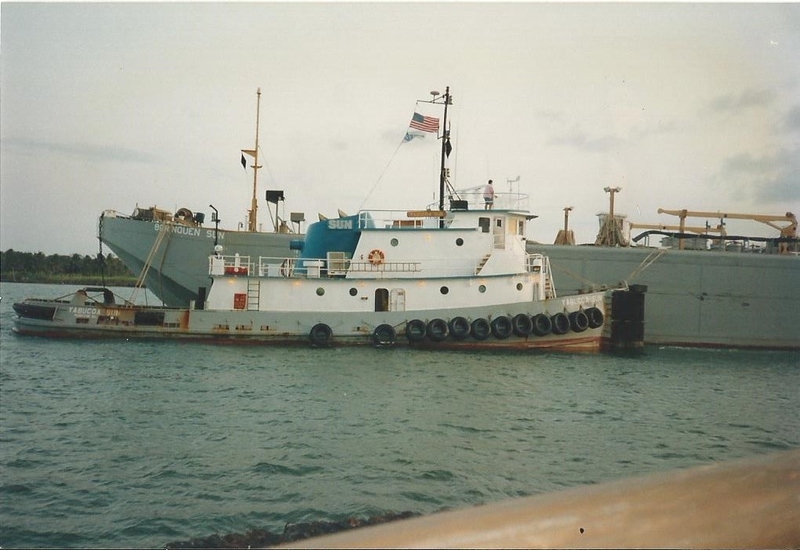 The tug's towing gear consisted of of a double drum, INTERcon DD175, towing winch. 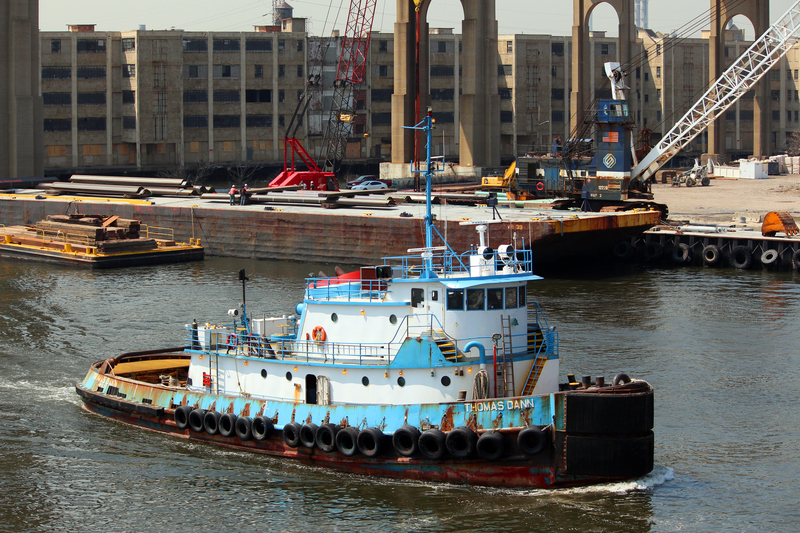 Outfitted with 2,000(ft) of 2(in) diameter, stainless steel, towing cable. Her "suitcase" drum was equipped with 1,000(ft) of 1.75 diameter towing wire.